Meditation and Children: Why Should I Teach My Children to Meditate? When people think of meditation, they may envision an adult or a group of adults sitting in a room cross-legged with their eyes closed. While that is one depiction of meditation, it is not a representation of everyone who meditates. Some people meditate sitting in a chair, lying on their bed or in another comfortable position. Plus, meditation is great for both adults and children. If you are considering having your children practice meditation, it is important to understand how to teach it to them. Children are unlikely to understand meditation on the same level as adults, so even if you have taught meditation to others or you practice it yourself, you may need to adapt your teachings techniques to fit the learning level of children. It is important for children to understand why they need to meditate. One suggestion is to use a snow globe. Shake it up, and have the child watch the flakes swirling around. Explain that those flakes are like our emotions and thoughts, both good and bad. When we are active, those emotions and thoughts can become a little overwhelming, not allowing us to see the whole picture. As the flakes settle to the bottom, much like when we sit down and relax, we can see the bigger picture better. In the beginning, meditation should start out simple. Have your children sit in a comfortable position with their eyes closed. Tell the children to breathe in and out deeply. To help your children understand deep breathing, you may need to have the children place a hand on their diaphragm so they can feel how their diaphragm rises and falls with each breath. Tell your children to focus on deep breathing while also focusing on relaxing specific parts of their body. You can also take your children outside and have them focus on listening to the sounds of nature. In the beginning, your children may only have the patience to meditate for a minute or two. Be willing to start out small. Slowly add more and more time to your children’s meditation routines. You can also encourage your children to practice deep breathing and other meditation techniques on their own when they are feeling stressed or otherwise discouraged. One of the areas of your children’s life that will benefit the most from meditation is their mental health. Several studies suggest that meditation can help children with ADHD and ADD. According to the studies, children with both ADHD and ADD had better concentration and decreased hyperactivity behaviors after the children participated in regular meditation. Just like adults, many children face stress in their lives. Maybe they are worried about their grades, or they have had a fight with a close friend. Meditation can help children better deal with stress in their lives. 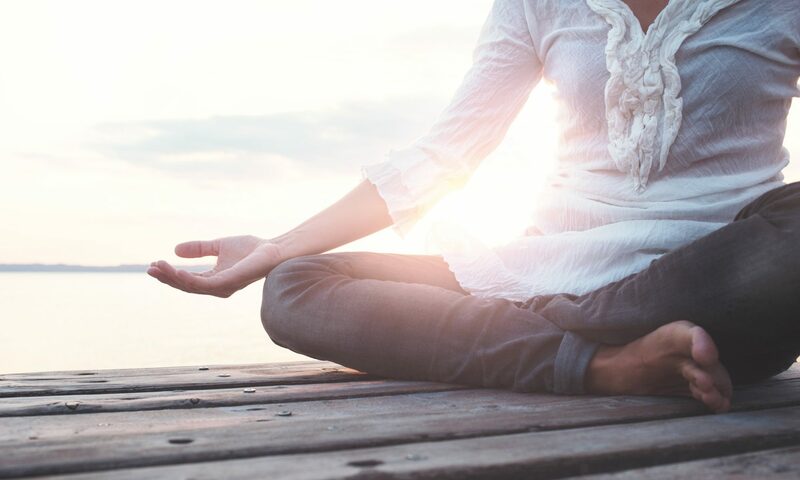 Children who deal with other mental health issues, such as depression and anxiety, including separation anxiety, can also benefit from using meditation techniques in their lives. Medication can provide a calming influence in children’s lives, helping them to feel more relaxed. It has also been shown to help children feel happier. To achieve top results, meditation is often combined with yoga. Children who regularly participate in meditation may also gain a better perspective of life. This includes a better understanding of their own potential. They can also come to understand that many of the things they regularly stress over are unimportant and not worth the stress they cause. As children are able to get rid of stress, anxiety, and negative feelings, they are better able to concentrate. As they concentrate better, their minds work more efficiently. This allows them to better focus on their schoolwork, which then helps to boost their grades and overall academic success. Meditation may also help children to build healthier relationships, both with themselves and those around them. Through meditation, children can build greater self-awareness, allowing them to be more aware of their own feelings and behaviors. This can help children to recognize when they are feeling angry, stressed or other potentially negative emotions, allowing the child to deal with these feelings in a healthy manner. Meditation can also help with impulse control. Instead of getting angry and acting out, the child can learn to pause, think through the situation and respond in a more appropriate manner. Along with self-awareness comes a greater sense of self-worth. Kids who meditate can come to feel better about themselves and believe that they can achieve their dreams. If you are looking to encourage kindness toward others, respect for others, empathy, and kindness in your children, meditation is a good place to start. As children demonstrate these skills, they are better able to form quality friendships and connect better with the people around them. Of course, these are just a few of the benefits of meditation for children. Contact us today to learn more about some of the other great benefits of meditating, for both children and adults.